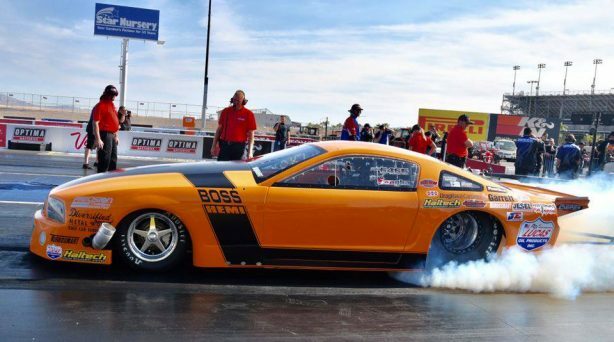 Canadian racer Dal Sangha breaks into the elusive 5-second zone in his Hemi powered Mustang. 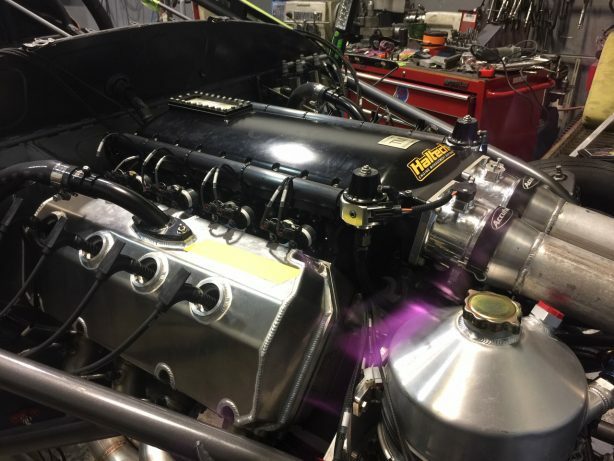 Dal’s previous PB was a 6.04@241mph set back in November 2017 with the then brand new 483 BAE Hemi. 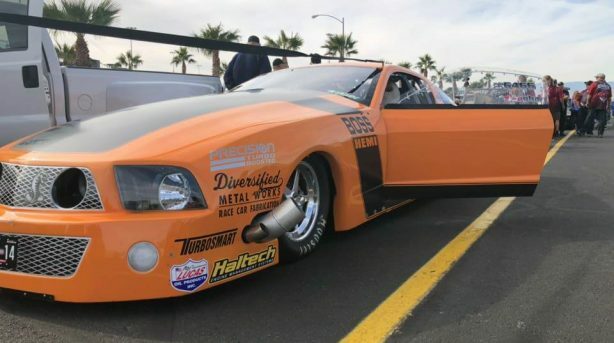 Dal came out strong with a 6.01@251mph for the first round of qualifying. 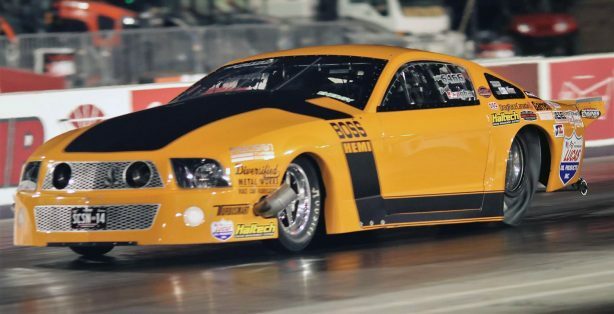 He then skipped the 5.90s dropping right into a 5.86@254mph in the second round of qualifying. The fastest pass of the event came in the third round. 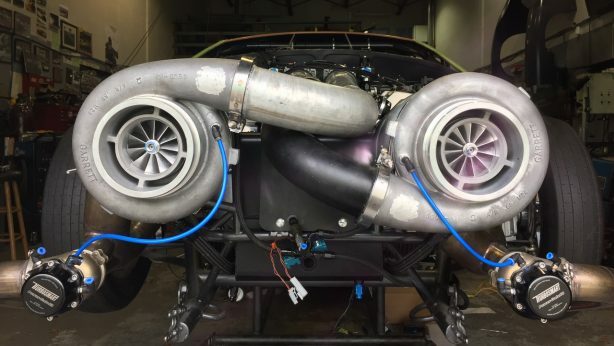 Dal’s Mustang is powered by a twin turbo, 483ci Hemi built by T-bone at High Performance Engines. 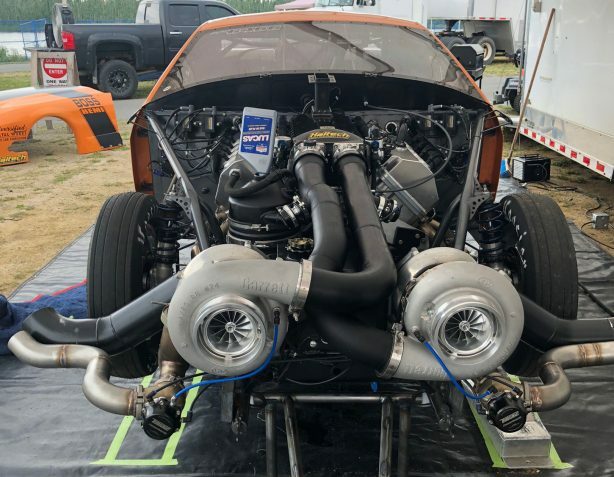 The engine makes over 3000hp with some help from two 88 GTX Gen 2 Garrett turbochargers. 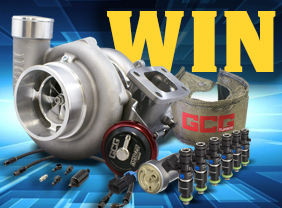 All that power gets to the ground through a Protorque EV1 convertor with a Rossler 3spd transmission. The whole setup is controlled by a Haltech Elite 2500 ECU.